COBB Tuning Post MAF Hose SUBARU - Pann Auto Performance - San Diego largest aftermarket automotive performance parts - What do you drive? COBB Tuning announces the availability of the COBB Post MAF Hoses for the 2003-2006 Nissan 350Z, 2007-2008 Nissan 350Z, 2009 Nissan 370Z, 2003-2006 Infiniti G35, 2007-2008 Infiniti G35 and 2008-2009 Infiniti G37. 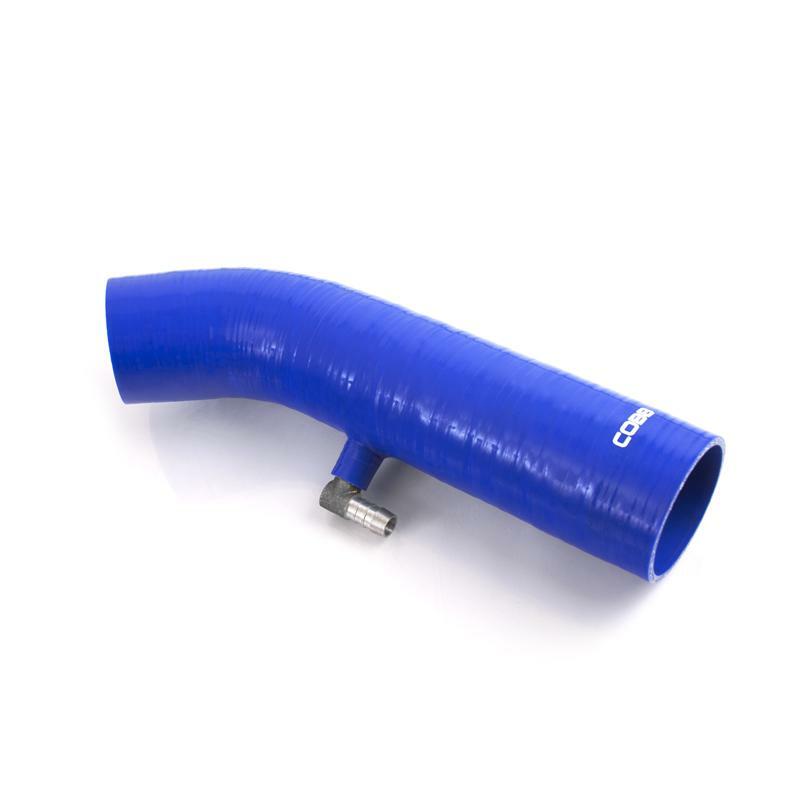 The COBB Post MAF Hoses balance form and function with their smart appearance and turbulence-taming characteristics. The COBB Post MAF Hoses replace the stock corrugated-rubber and plastic pieces, some of the most aesthetically-challenged OEM parts in the engine bay. While the sleek exteriors are easy on the eyes, the slick interiors are friendly to airflow. The silicone hose is also more resistant to heat, fatigue and chemicals. The 4-ply silicone construction has the right compliance to bridge the chassis mounted airbox to the violent motion of this potent V6 engine being driven in anger, while the steel reinforcement prevents collapse when drawing maximum vacuum at wide open throttle. Improve the look and performance of your Z or G engine bay with the unmatched quality of the COBB Post MAF Hoses.